Bonnie began dancing at the age of 3 in her mother's dance studio in Montreal, Canada. She began teaching at the age of 15 and went to work for Alan Currier Dance Center in Covina, California. Her passion for teaching lead her to open her own business,and in 1984 "Encore" was born. In the past twenty eight years, she has developed the reputation of the studio to being "LA's Dance Studio" in the San Gabriel Valley offering the finest in the Performing Arts. She has accumulated a highly credentialed staff from all over the country and has become infamously known for her annual shows. Bonnie's mission has been to inspire the passion of movement, dance and performing in children of all ages in a nurturing positive environment. Born in New York and raised in Los Angeles, Adrian started dancing at the age of six with Ballet, Tap and Jazz and at age 11 Adrian was accepted into Paula Morgan Dance Academy. Adrian continued her education as a Dance Major at California State University of Long Beach. Shortly after finishing her studies at CSULB, Adrian met her mentor Winifred Harris, artistic director of Winifred R. Harris' Between Lines Dance Company. Adrian has worked commercially with credits in television, film, music videos, and stage productions. Combining Lyrical, Modern, Hip-Hop, and Freestyle dance. Adrian has had the opportunity to work with such artists as Prince, Toni Braxton, Dr Dre, Drew Carey, Debbie Allen, Michael Jackson, Brian McKnight, Jada Pinkett Smith, Queen Latifah, Spice Girls, Lou Bega, En Vogue, and Aero Smith an original cast member of the Broadway musical "The Lion King", Los Angeles. Anh Dillon started with an academic training in classical ballet at the Conservatoire Niedermeyer in Paris, France, and later expanded to modern and jazz. She went on to perform worldwide with contemporary ballet and contemporary jazz companies. Her versatility enabled her to venture into various types of work, from music videos (Usher) to industrials (Redken, Aveda) and commercials (PBS). As a choreographer, Anh had the amazing opportunity to work with the one and only Prince. She teaches ballet, contemporary and jazz, as a resident instructor at the Edge PAC and the new Industry Dance Academy in Los Angeles, and the Joffrey Ballet School for their Summer Intensives. Anh is the recipient of a Lester Horton Award and is an ABT® Certified Teacher, who has successfully completed the ABT® Teacher Training Intensive in Pre-Primary through to Level 5 of the ABT® National Training Curriculum. Amber Dupuy began her training at the age of three at Encore Dance Centre in San Dimas, CA. There she studied all various dance forms and continued on to study at the Los Angeles County High School for the Arts. Upon graduating LACSA high school, Amber was accepted into the University of the Arts in Philadelphia, PA where she received a B.F.A. in Modern Dance Performance in May of 2010. Along with numerous prestigious choreographers at the University of the Arts, Amber also had the privilege to apprentice with Zane Booker and his Smoke, Lilies, and Jade Arts Initiative while attending University of the Arts in Philadelphia. Amber danced as Peggy Branch in Eddie Garcia’s Twisted Branches at Dee Caspary’s “The Invitational” and participated in the debut of Melinda Sullivan’s Gone: A Sound and Theater Project. Amber is also a dancer in Joelle Martinec’s SoleVita Dance Company, where she has also assisted choreographically on some of the company’s rep. Amber’s most recent credit was as a cast member in Steve Wynn’s “Showstoppers” at the Wynn in Las Vegas. Brittany Gilmore has been a part of the Encore family for 25 years. Outside of Encore she trained at Los Angeles County High School of the Arts. She continued her education and received her Bachelors in Theatre Arts and Masters in Management from Azusa Pacific University. Some of her Film/TV/ Theatre credits include: Harold and Kumar Christmas, NBC’s Heartbeat,The Doctors, and In the Heights (West Coast Regional Premiere). She has been teaching at Encore Dance Centre for the last decade and has had the opportunity to direct and choreograph all over the San Gabriel Valley. Brittany is currently the residing director and choreographer for the non-profit company, Foothill Theatre Workshop, where she shares her love of musical theatre with students each summer. She feels privileged to teach students the importance of performing arts. Eddie Garcia is an accomplished director, choreographer, dancer and multi-faceted entertainer with a solid reputation for choreography built upon decades of performing internationally alongside many of today’s most celebrated stars. At just 16 years old, Eddie’s incredible dancing style and technique delivered him to the world stage via many projects with Janet Jackson. He danced in“Nasty”, and the classic “Control” on the American Music Awards. By the time Eddie turned 17, “The King of Pop” himself, Michael Jackson, hand picked Eddie to join him with “Smooth Criminal”, Eddie spent the next five years dancing with Jackson on the record-breaking and internationally acclaimed “Bad” and“Dangerous” tours. He has since lent his talent to collaborations with well known artists such as Jennifer Lopez, Paula Abdul, Queen Latifah, Jane’s Addiction and others. Eddie Garcia’s artistic fingerprint that has made him one of the most sought after names within the world of dance and choreography. He continues to enjoy engaging in new creative adventures and collaborations with the artists of today and tomorrow. Eden is a St. Louis native who recently relocated to Los Angeles to follow her dance career. Her dance training began at a young age and she has studied with such notable teachers as Robert Reed, Ray Leeper, Tina Caspary and more. Eden has trained dancers in tap, jazz, ballet, contemporary and hip hop. Her teaching has brought her across China to perform and share her love of dance. In addition, she is currently the competition director for Velocity Dance Convention. Eden believes in keeping the joy and confidence dance brings to inspire young dancers to be their very best. After being involved with her Motherâ€™s studio from a distance for so many years while pursuing her career in NY, Holly is excited to be able to teach again and share her dance knowledge and passion with the students at EDC! Holly started her career as a commercial dancer in Los Angeles. She has film and TV credits and was a member of Winifred R. Harris Between Lines Dance Company. Holly moved to New York where she danced in theatre and was a Radio City Rockette. After 16 yrs, Holly retired from her professional dance career in 2006, and moved on to her second career as a fashion stylist. Her dance mentors along the way were Jackie Sleight, Joe Malone, Paula Morgan, Claude Thompson and David Marquez. Her class warm-up is that of Joe Malone’s, combined with technique from Paula Morgan and Claude Thompson. She teaches the fundamentals of jazz thru musicality and “line”. 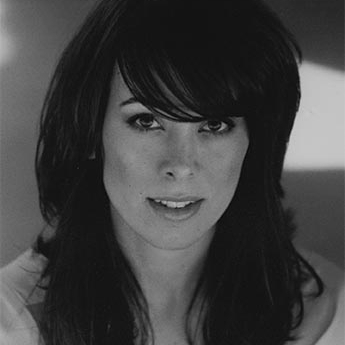 Holly moved back to LA ten years ago where she continues her work as a stylist and lives with her husband and daughter. Joelle has been part of the Encore Dance Centre family for over 20 years. As a dancer Joelle been featured in episodes of the popular television shows Glee and Code Black. She can also be seen in The Big Lebowski and Bjork's "It's Ohh So Quiet" music video. Joelle is well known around the country as a caring and enthusiastic educator from her many years traveling with Tremaine Dance Conventions and currently with The IndustryXperience. As founder and artistic director of SoleVita Dance Company Joelle created narrative rich, accessible works. Her choreography along with SoleVita Dance Company dancers can be seen in music videos for Adjoa Skinner, TJ Stafford and Ashley Chambliss. Ginger Sole Photography is Joelle's latest endeavor, capturing beautiful moments of dancers, individuals, couples and families. Julianne began dancing at Encore at the age of two. She continued to train at Encore Dance Centre for the following thirteen years which led into Assistant Teaching. Along with dance, she grew up participating in musical theater. During high school she was on the Glendora High School Varsity Song team. She participated in the Miss Covina pageant where she performed a tap routine for her talent and placed second runner up. As she continued to train and expand her love for dance, she had always had a passion for working with children. In addition to teaching Junior programs at Encore Dance Centre, she just recently graduated with her bachelors degree in Child Development. She works with children in a variety of settings such as nannying, preschools, and in local school districts after school care programs. Natalie is an Encore alumnus! She’s been dancing since she was two years old and has been gracing the Encore stage since age four. Natalie was song and dance captain throughout high school and graduated from Cal State Fullerton with a Bachelors in Dance (emphasis in composition) as well as Women and Gender studies. Natalie earned her Masters of Arts in Educational and Clinical Counseling and currently works as an elementary school counselor in Arcadia Unified School District. Natalie also works as an Art and Activities Coordinator for foster youth at a group home in Pasadena. Natalie’s passion lies in the children she works with and allowing them a positive space to strengthen their art and creativity. Natalie’s heart is with Encore and she looks forward to teaching every Thursday and Friday! As a dancer Nichelle was a member and soloist with the Civic Ballet of San Luis Obispo. She was line captain and featured dancer on the Princess Cruises Line. Since moving to LA some of her credits include Friends, Clueless, Austin Powers 2, Totally Blonde and others Nichelle has worked with the likes of Marguerite Derricks, Mia Michaels, and Vincent Paterson. She was assistant to Doug Caldwell. Nichelle is currently on faculty at Edge Performing Arts Center in Hollywood, Encore Dance Centre, Liv’art, and Performing Arts Center. She is also on faculty with the educational dance convention Motiv8. Nichelle is the artistic director of the Los Angeles based Reflections Dance Company. Nichelle is the resident choreographer with Astra Dance Theater where she helped bring 2 unique dance shows to the stage. “Eleanora” an Edgar Allen Poe story, and “The Cabinet Of Dr Caligari” a 1920 German silent horror film. Both premiered at the El Portal Theater in North Hollywood. Recently, excerpts of “Caligari” were performed at Jazz At Lincoln Center in NYC for two consecutive years. Nichelle is the director of Encore Dance Centre’s Annual Nutcracker Production. Olivia Bollfrass started dancing in Minnesota competing all types of dance including tap, jazz, ballet, lyrical, musical theater, and hip hop at Studio 4 until the age of 18 and continued her training in ballet and modern in high school at the Saint Paul Conservatory for Performing Artists. After graduating, Olivia moved to Los Angeles to sign with Go 2 Talent Agency and started monthly shows at Carnival, video submissions, shooting commercials, assisting choreographers and magicians, and working as a body double on ABC's Bunheads. She has also worked with the Astra Dance Company on The Cabinet Of Dr. Caligari, and most recently on TruTV's FAKE OFF season 2. Olivia is also part of Nichelle Bane's Reflections Dance Company, which travels throughout the year for competitions, conventions, and shows. Lastly, she works for Q Productions, a multi-media cirque company that has won her awards all over the world, including Best Female Dancer of the Year 2014 in Argentina. Samantha Brown started dancing when she was in the 4th grade. She continued dance through college where she joined the hip hop team, Barkada Modern, or BMOD. This was Samantha’s first taste of hip hop and she became obsessed. She worked extremely hard and worked her way to become the Executive Director for the team. After 4 years with BMOD Samantha felt it was time for her to move on. She joined a new team out of the Talent Factory in Chino, CA. After only one year on the new team the amount of growth Samantha has was incredible. She still dances with Natural St8 today. Samantha started teaching 3 years ago and eventually at Encore Dance Centre; where she loves her classes. Samantha, after starting to teach, discovered she was in love with the instruction process. Teaching is not easy, and can be stressful but it is one of the most rewarding jobs out there. Samantha is glad to be a part of the Encore Dance Staff and can’t wait to see how her students and the studio grow. Tory Freeth is a dancer and actor based in Los Angeles. She is trained in all areas of classical dance, studying at Encore Dance Centre for 15 years and graduating from the dance department at Los Angeles County High School for the Arts (LACHSA). She holds her Bachelors of Fine Arts in Acting for the Stage and Screen from Azusa Pacific University. She is best known as the previous host of the Disney Channel Mini-Series titled Disney 365. Her previous film credits include the feature film Headcount, as well as independent short films such as Sleeping, Tragedies for Children of All Ages, and Railroad: the New 11. She can be seen in commercial spots for brands such as Apple, 23andMe, Grocery Outlet, Walmart, GrubHub, and Final Fantasy. 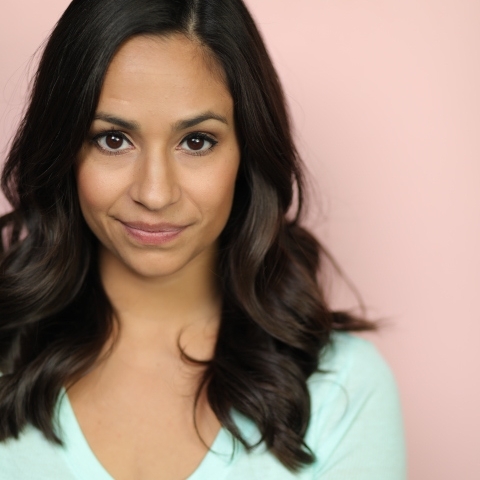 Some of her recent stage work includes Empire: the Musical (Hazel) at La Mirada Theatre, and A Midsummer Nights™ Dream (Hermia) at Azusa Pacific University. Tory has been teaching at Encore Dance Centre for 5 years now, and is also the Assistant Choreographer for Foothill Theatre Workshop.